The Lakes Region's inn for all seasons! 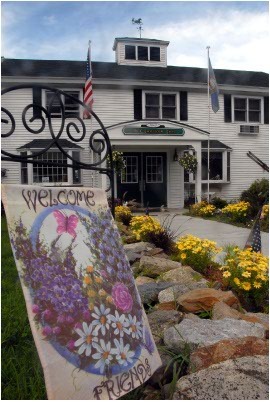 Located in beautiful Gilford, NH, this colonial-style inn features 25 rooms-each with their own uniqueness and charm-a country tavern with an inviting rustic fireplace and a fitness center with an indoor Olympic-sized saltwater pool. Originally built in the late 1930s, the inn blends humble beginnings with technology where it matters. Antique furnishings and cozy rooms remind visitors of a time past, and flat screen TVs and free Wi-Fi allow guests to keep up with modern life. Gunstock Inn & Resort is ideally located to get out and enjoy yourself-no matter the season! As a ski & stay partner with Gunstock Mountain Resort, we offer discounted lift tickets as well as Adventure Deals for the numerous outdoor activities held at the mountain year round. Come stay with us and become part of the family! Camp Resilience Another successful Camp Resilience retreat wrapped up today, February 5th, 2016. We are once again so grateful for the opportunity to host these events for the men and women who have served this country. 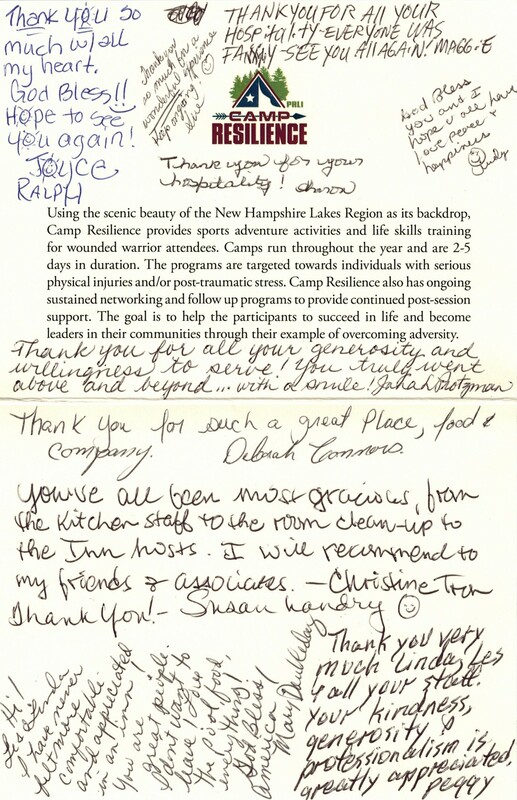 For more information on Camp Resilience, you can check out their website here .